translated. 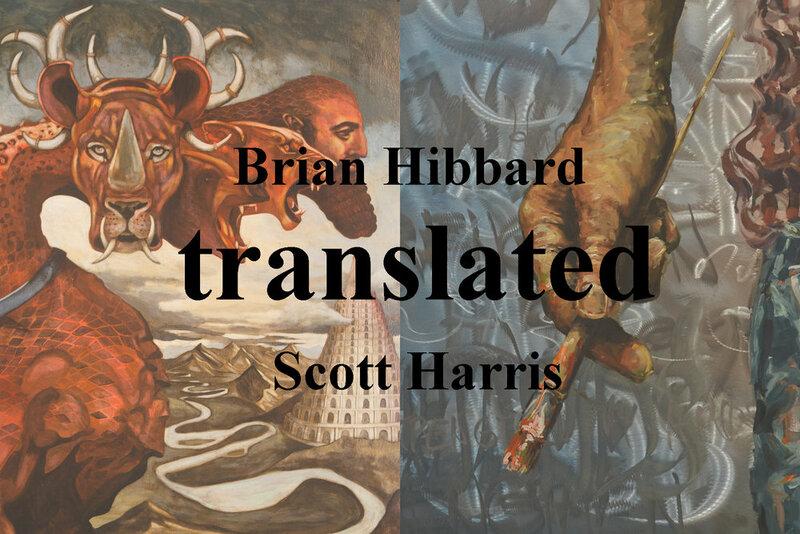 A show by Scott Harris and Brian Hibbard. Come join us Friday, September 14th! 5:30-8:30pm! This will be a fun, one night show held in the gallery at the Church on 68 (click on map at the bottom) at 300 NC Hwy 68 South, Greensboro. We are both excited to partner with Wycliffe Associates. They have translated the Bible in over 2,700 languages and have a God sized goal to have a Bible in every language by 2025. Jim Savage of Wycliffe Associates will be present to answer questions and talk about the new and exciting strategies of Bible translation. There are devotions and verses of the Bible that have spoken to Brian and Scott over the years and this show and partnership give us the opportunity to put images to some of those scriptures. There will be light hor d'oeuvres and wine. We will have music in the background and even a few pieces that will be part of a silent auction. Please look into Wycliffe and if there is any questions about the show call Scott Harris at 336-420-2067 or by email. You can also visit the Facebook Event Page for updates. See you on Sept 14th! With Hurricane Florence on the coast we will still have the show.